and then re-appear in your soup for breakfast again the next morning! While I was constantly warned to watch out for pick-pocketers, I more commonly found myself surrounded by an unusual abundance of ¨little pickers¨. After two weeks in the desierto de Atacama, the crew was most excited to be in Chile, the land of ¨Hay¨. 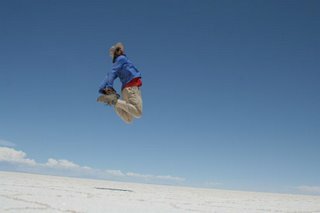 New trip report and photo gallery from La Paz, Bolivia to Salta, Argentina coming soon!